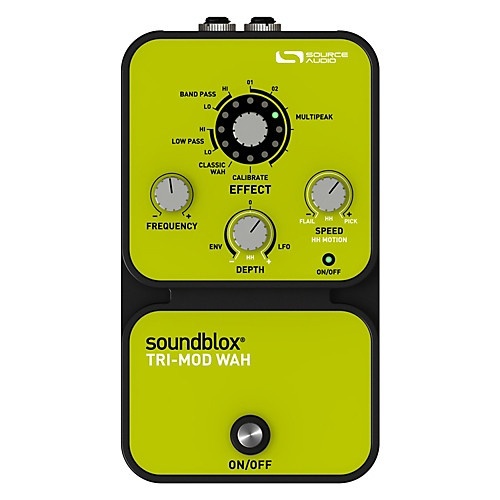 Soundblox Tri-Mod Wah, Wah-Wah/Auto Wah/Filter for Guitar from Source Audio in the Soundblox series. Source Audio announces the availability of its new line of Soundblox effects pedals. 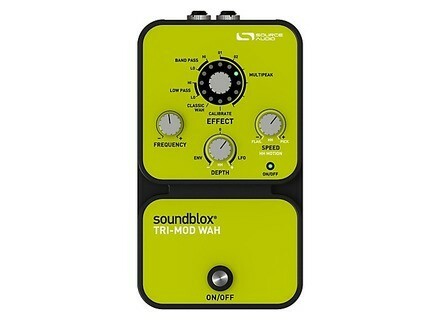 Based on the Hot Hand Wah Filter and Hot Hand Phaser/Flanger effects systems, the new Soundblox Tri-Mod Wah, Tri-Mod Flanger and Tri-Mod Phaser pedals each offer 11 different effects that feature the same high quality sounds as their predecessors. The effects on these products can be modulated by either a Hot Hand motion sensor, an LFO or an Envelope Follower. All Soundblox effects feature high-quality 56-bit DSP co-developed with Analog Devices, Inc. and 24-bit A/D D/A converters. MSRP for the Soundblox pedals is $149.99. MSRP for the Hot Hand Wireless Adapter & Controller is $150. As a special offer, Source Audio provides a free Hot Hand wired sensor pack with the Soundblox Wah, Phaser and Flanger while supplies last. Luna Guitars introduces the Neo Already known for its lines of artistic guitars, Luna Guitars releases the "Neo" Series, an innovative new line of electric instruments especially designed and engineered to appeal to young musicians.